The embroidery on the maroon fabric for the brocade yoke was then embellished with sequins. That is the reason I used gold colour thread for the embroidery. the picture of the tunic is not available. Last year I bought a few synthetic fabrics to be sewn as tunics. This is one of them. The material was double coloured chiffon. I had also bought some brocade fabric at that time. 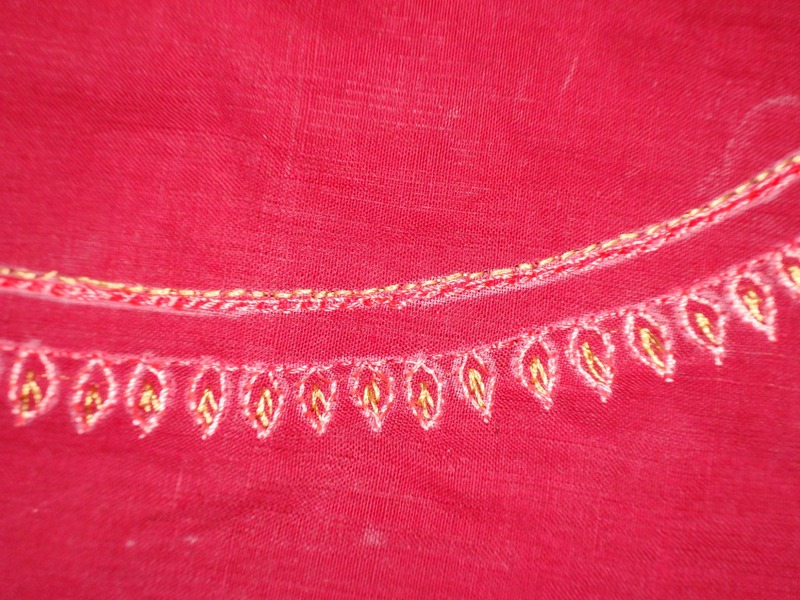 The idea was to embroider a small u-shaped border pattern which will go around the brocade yoke . 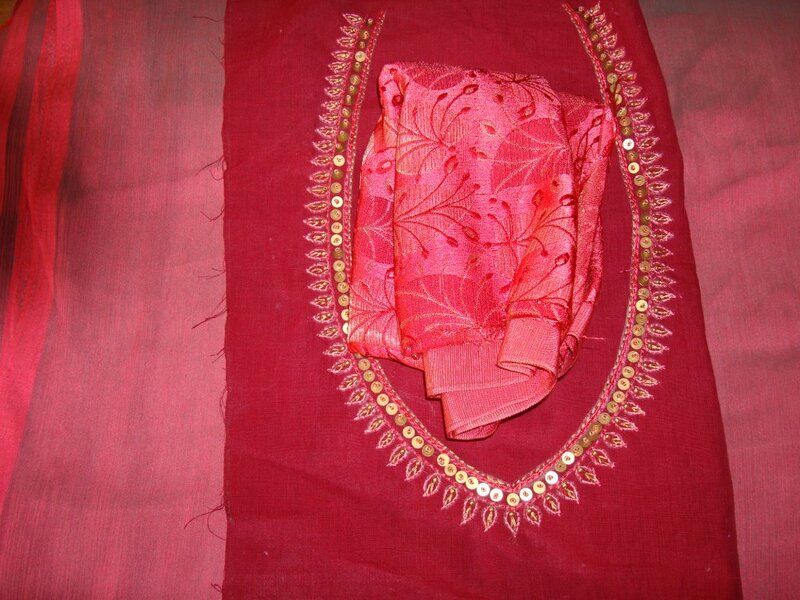 The tunic colour was a mixture of pink and maroon. 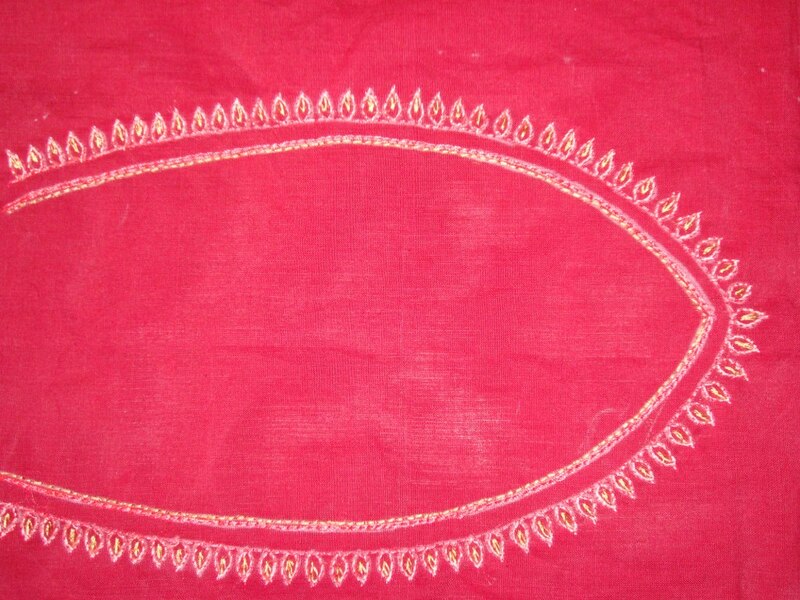 So the embroidery was done on maroon cloth. The colours used were pink and gold. The completed border on my next post.